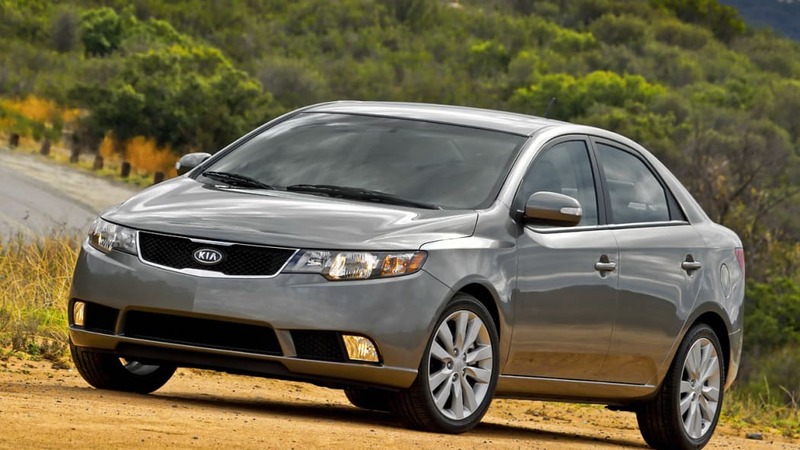 If there's one thing we can say about Kia, it's that it keeps making progress. 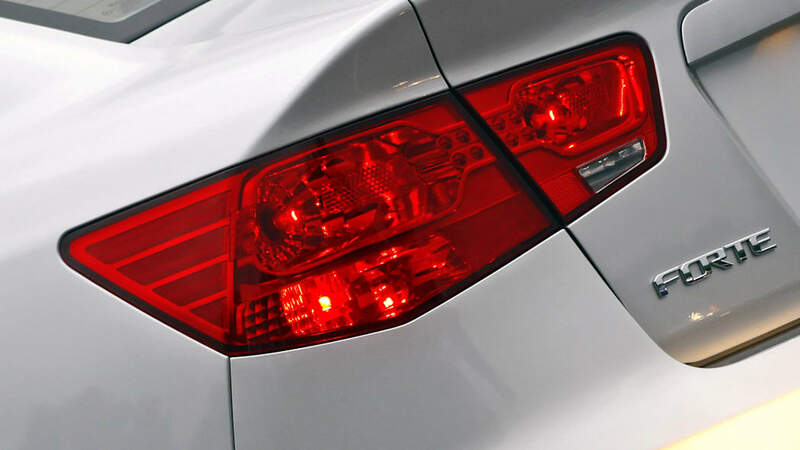 In the 15 years the brand has been selling cars in the United States, South Korea's second largest auto manufacturer has increased its market share every single year. The future looks bright as well, with new vehicles like the Soul receiving rave reviews and a new billion dollar production facility set to open this year. 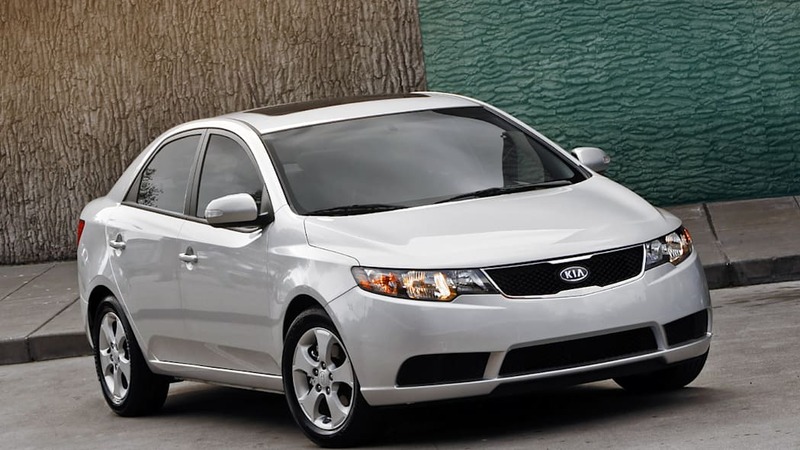 Hoping to build on that success, Kia has launched its new 2010 Forte, replacing the Spectra that failed to stand out among cars like the Honda Civic, Toyota Corolla and Mazda3. 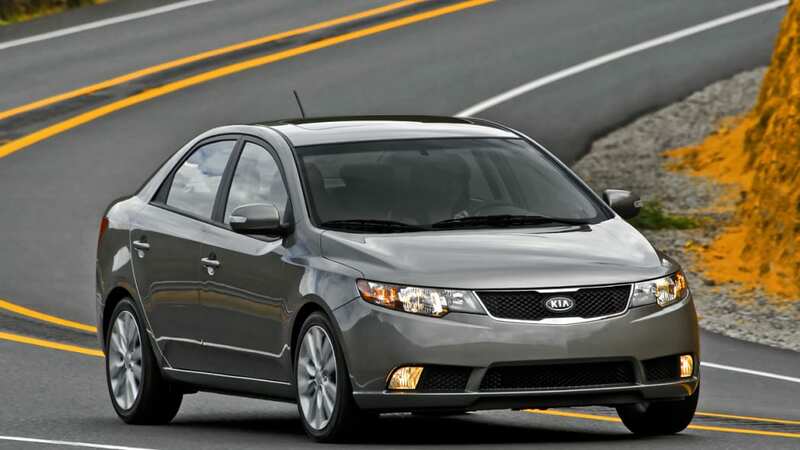 With a new name, a new face, upgraded powertrains and aspirations to exceed consumer expectations about the brand, can the Forte help Kia finally make its mark in the compact sedan segment? Read on to find out. 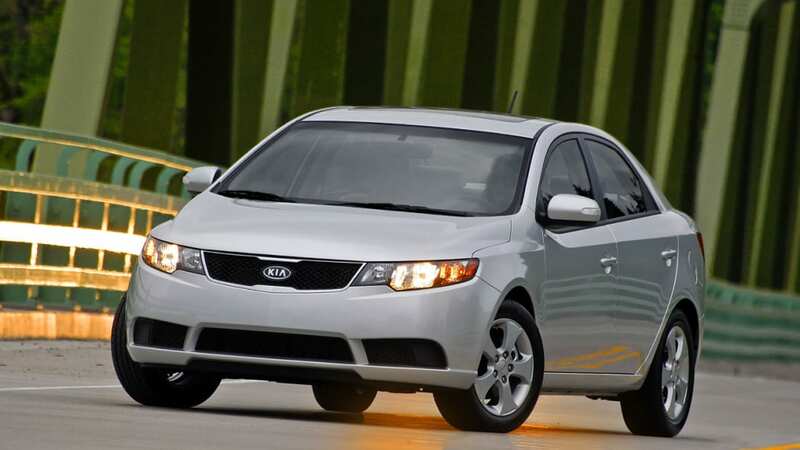 We have to admit we've never been overly excited about Kia or its cars. 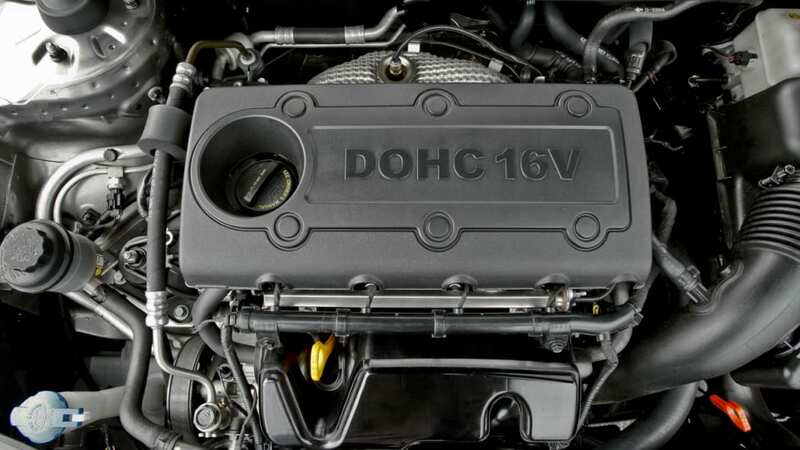 The brand's emphasis has always been on affordability, a bogey that generally doesn't speak to the enthusiast's adrenal glands. 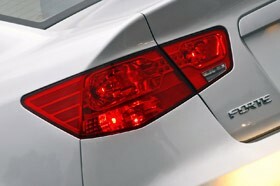 However, when the Forte sedan was launched at the Chicago Auto Show earlier this year, we took notice. The striking design is much more appealing than the comparatively staid Spectra, and the available 2.4-liter inline-four comes with an impressive 173 horsepower. 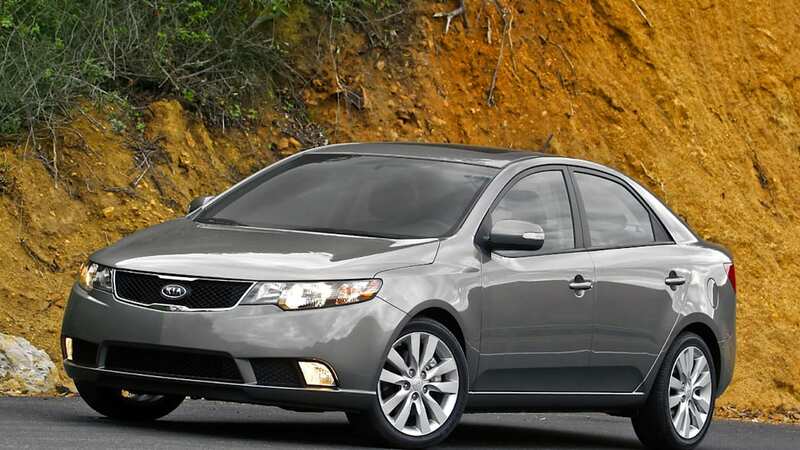 Available in three variants, the Forte ranges from the base LX (starting at $13,695), which features a 2.0-liter DOHC inline-4 putting out 156 horsepower, to the top-of-the-line SX ($17,195) that benefits from the aforementioned 2.4-liter engine. 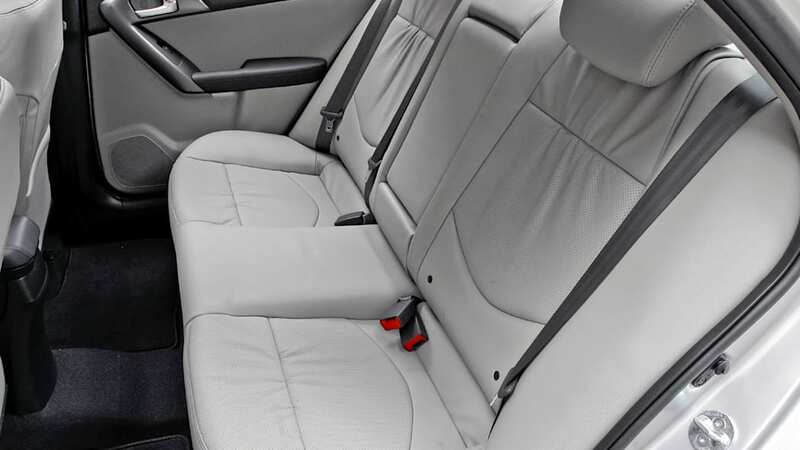 The mid-range EX ($15,795, shown above) comes standard with the Convenience Package (air-conditioning, folding rear seat, rear center arm rest and adjustable headrests), with the option of Premium (power sunroof and 16-inch wheels and tires) and Leather Packages. 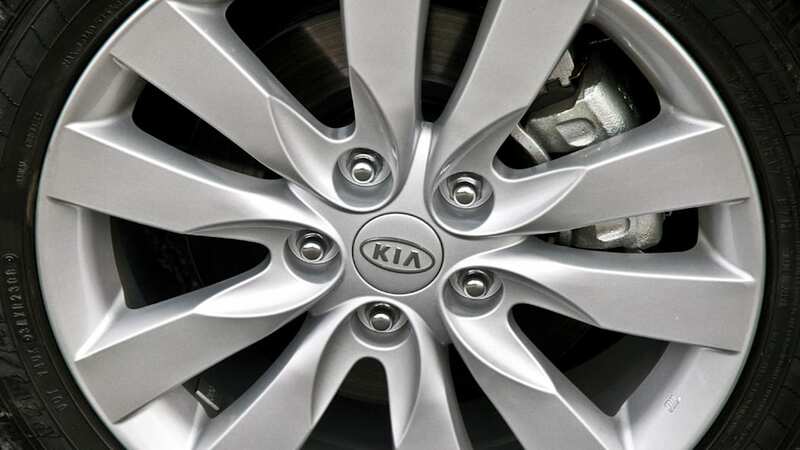 Kia has ensured that even the base model comes with standard items like four-wheel disc brakes incorporating anti-lock, stability and traction control systems, as well as full-length side curtain airbags. 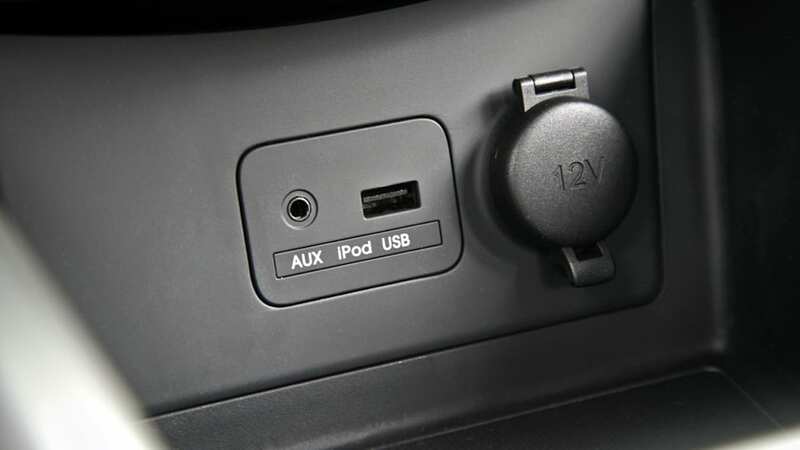 With the exception of air conditioning on the LX model, buyers won't have to worry about having to pay extra for the essentials. 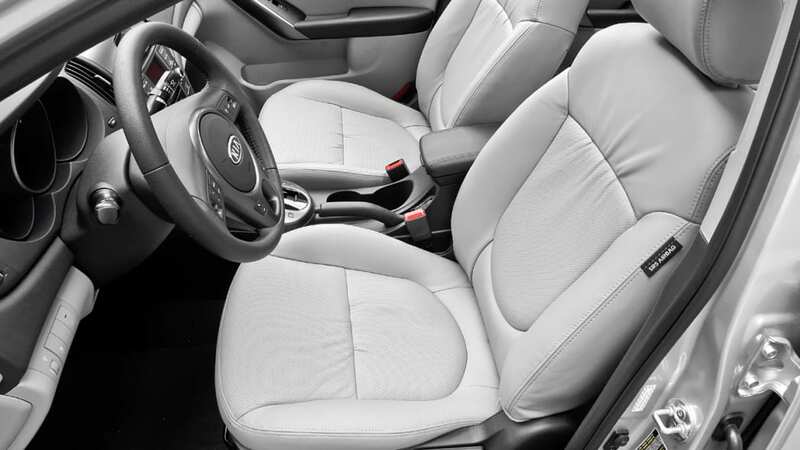 What first attracted us to the Forte, and what ought to initially help draw potential buyers into the showroom, is its striking design. 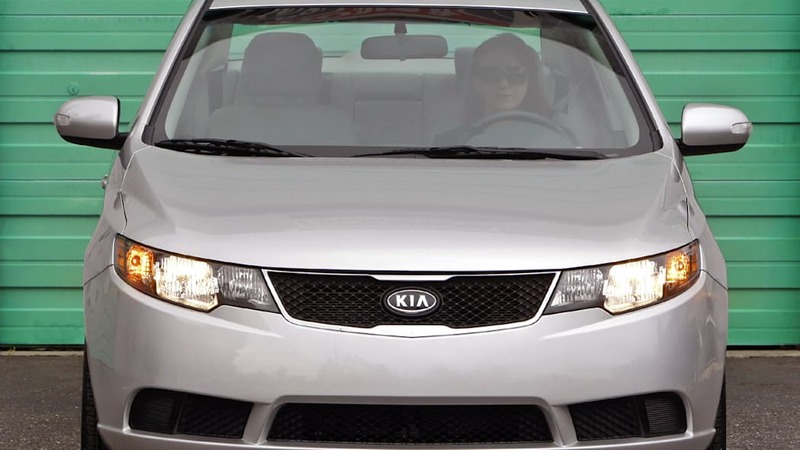 Our hats are off to the team at Kia's recently-formed California design studios who penned the sedan, and we are happy to hear that much of model's styling DNA will be passed on to future products. 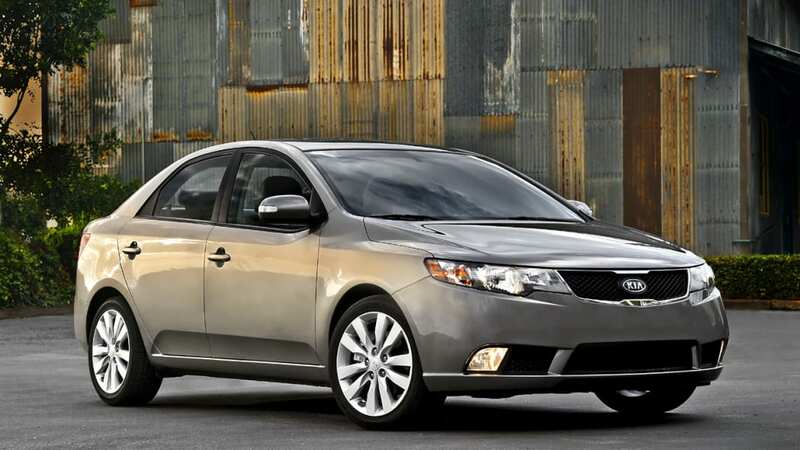 The bold stance owes much to the width of the body – at 69.9 inches, the Forte is wider than the offerings from Honda, Toyota, or Mazda – as well as to the slanted belt line and swept back headlights. 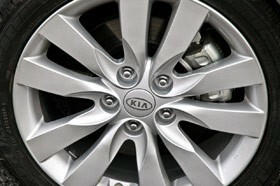 With the optional 17-inch wheels on the SX model, we would even dare to say the Forte looks...cool! 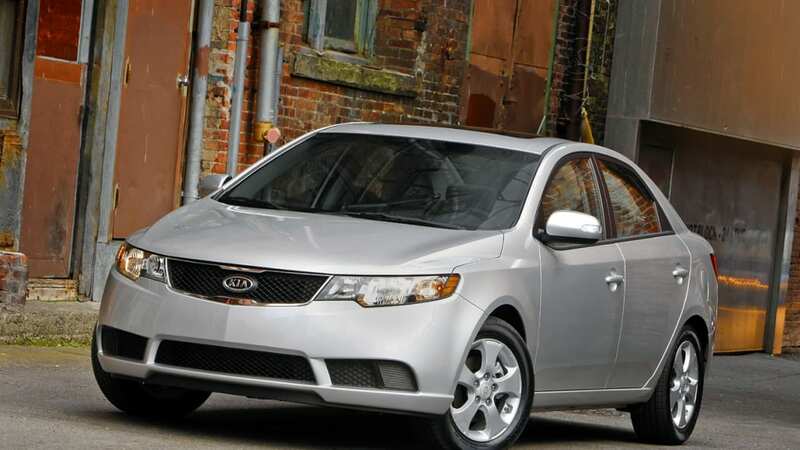 The interior can often be sore subject for cars built on a budget, but the Forte doesn't disappoint. 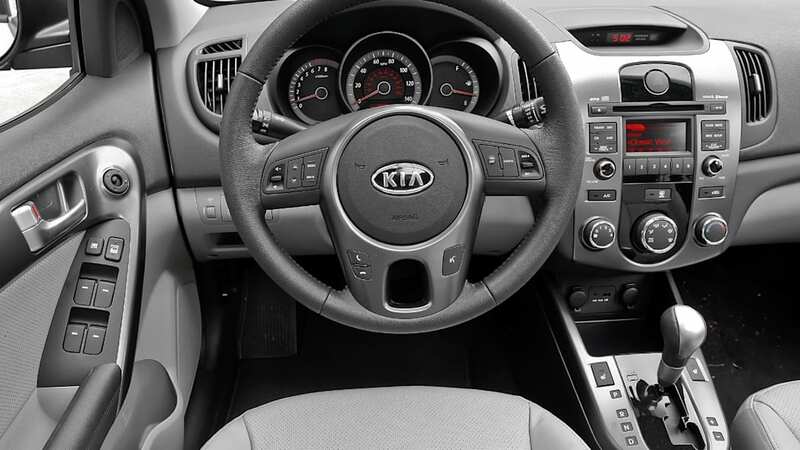 While there are some hard plastics on the dash and door, most of the materials used are fairly nice to the touch and look attractive. 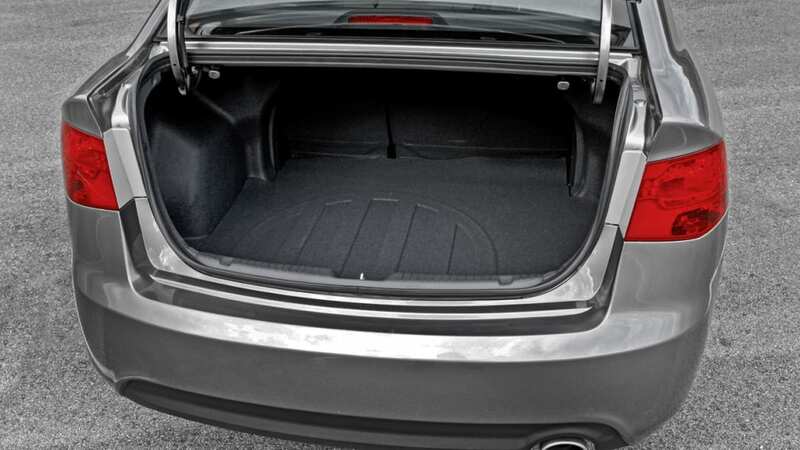 Interior space is abundant at 96.8 cubic feet, and the trunk is simply cavernous for a compact sedan. 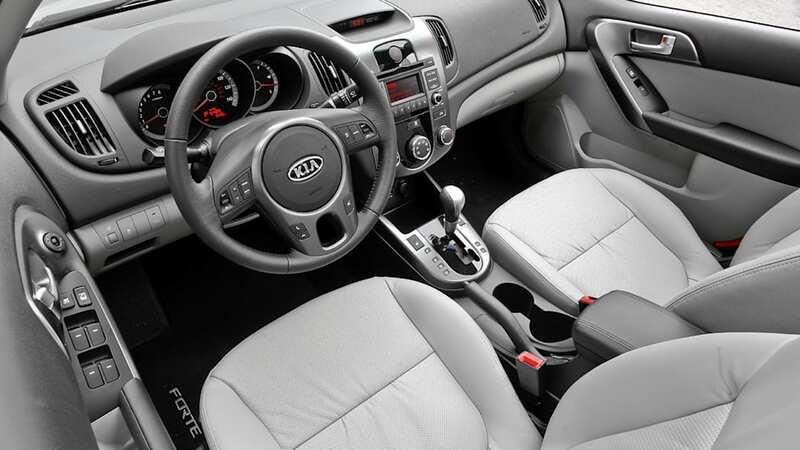 Kia has made it a priority to provide as many interior features as possible – even in the base LX model – and every Forte gets a six-way adjustable driver's seat, tilt steering column, Bluetooth connectivity with steering wheel controls, Sirius satellite radio (with a three month subscription), and USB and auxiliary input jacks. 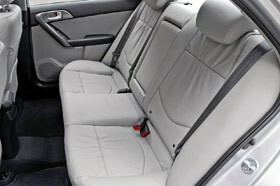 In our time with the Forte, we didn't find much to complain about inside, but the optional leather seats that are available in the EX and SX models we sampled proved to be somewhat stiff and lacking in support. If it were our money, we would stick with the cloth buckets. 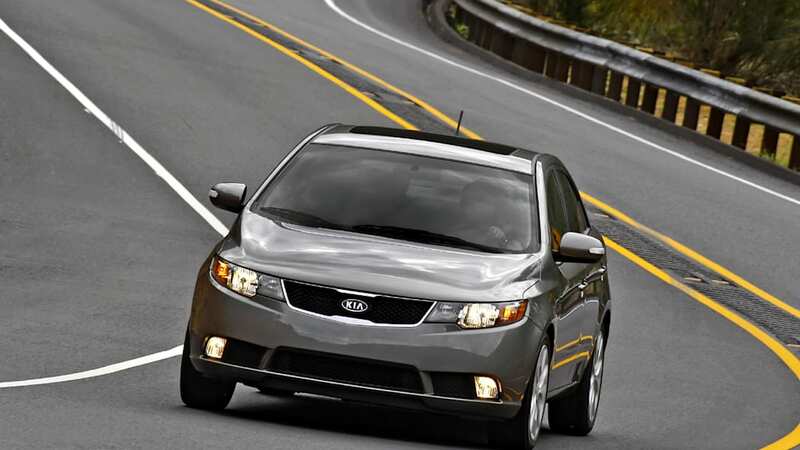 On paper, the Forte is a class-leader in the powertrain department. 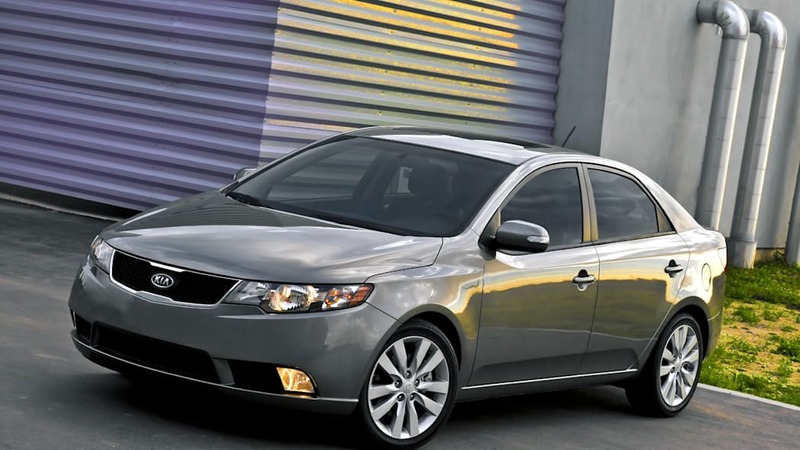 With 156 horsepower and 144 lb-ft of torque on tap in the 2.0-liter engine, the Forte offers more standard horsepower than any of its competitors. 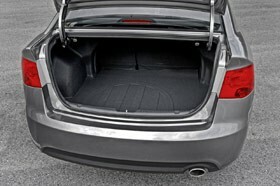 It's also easy on the wallet, with an EPA rating of 25 mpg city and 34 mpg highway. 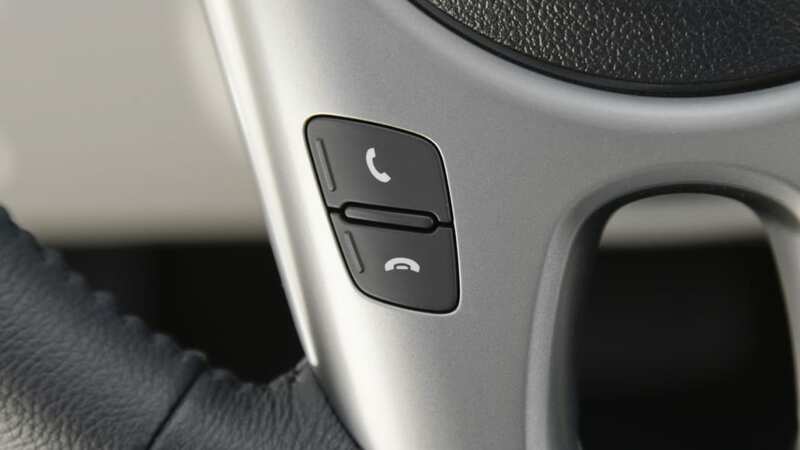 We drove the EX model with the optional four-speed automatic (a five-speed manual comes standard), and came away pleasantly satisfied with the acceleration and smoothness of the combination. 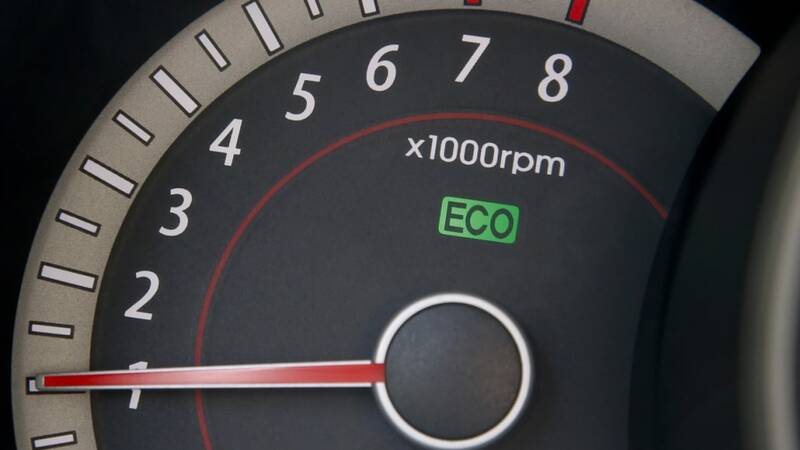 Interestingly, a so-called Fuel Economy Package ($600) is also available on the EX model that upgrades the car to a five-speed automatic transmission, Motor Drive Power Steering, a "smart" alternator, silica tires, and aero enhancements. 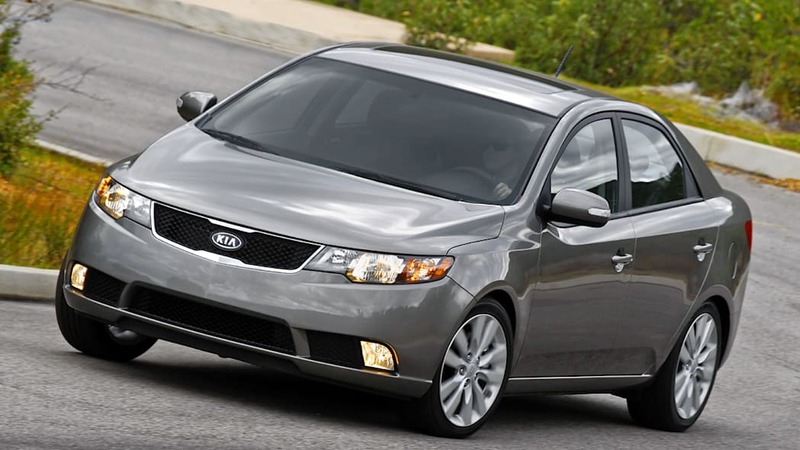 Rated at 27/36 mpg, Kia says this package makes the Forte the most fuel efficient car in its class that's not a hybrid or diesel. 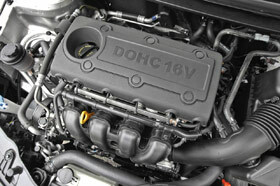 While the base engine was up to snuff, we came away disappointed with the 2.4-liter inline-4 found in the SX model. 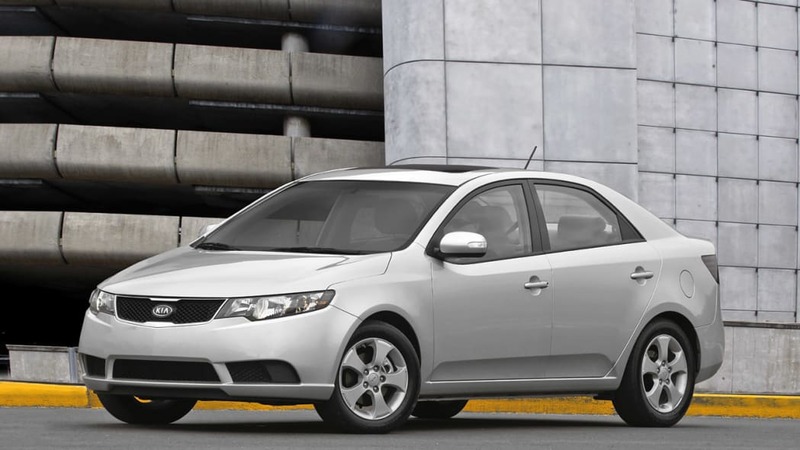 With 173 horsepower and 168 lb-ft torque, the Forte SX looked like it would be able to outpace a Mazda3. Unfortunately, those numbers didn't translate to the real world. 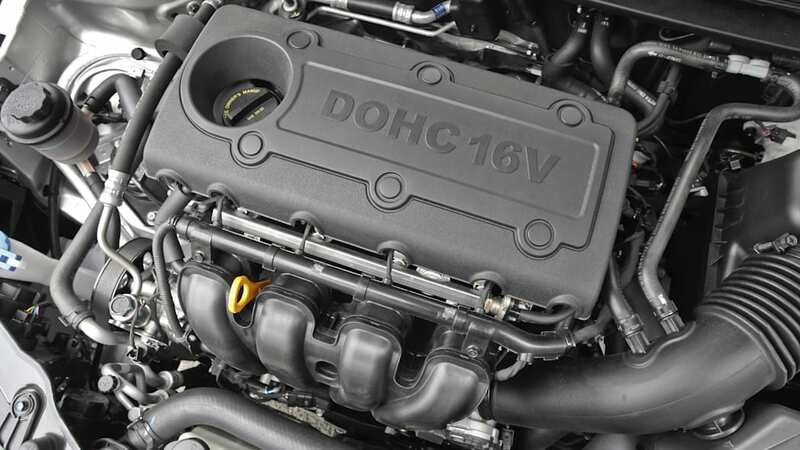 The 2.4-liter powerplant was sluggish to respond to throttle input, and it wheezed and gasped at anything above 3,500 rpm. 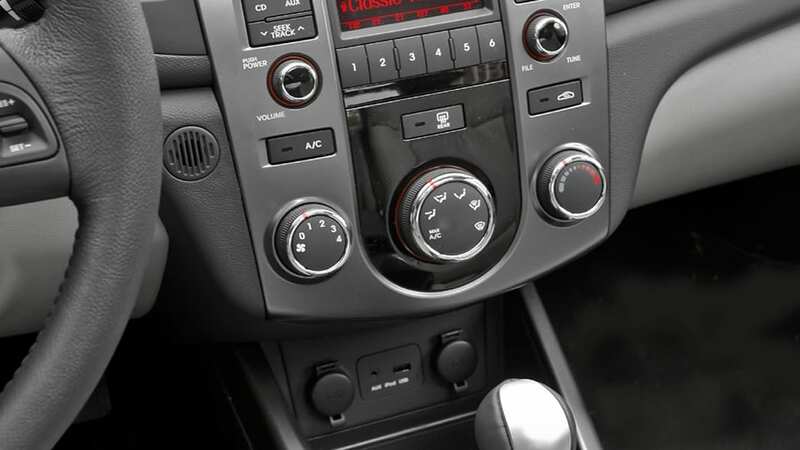 Surprisingly, the six-speed manual transmission didn't earn our affection either. Shifting feel was vague at best, and we had problems with smoothly modulating the clutch due to a relatively low engagement point combined with a hesitant throttle. 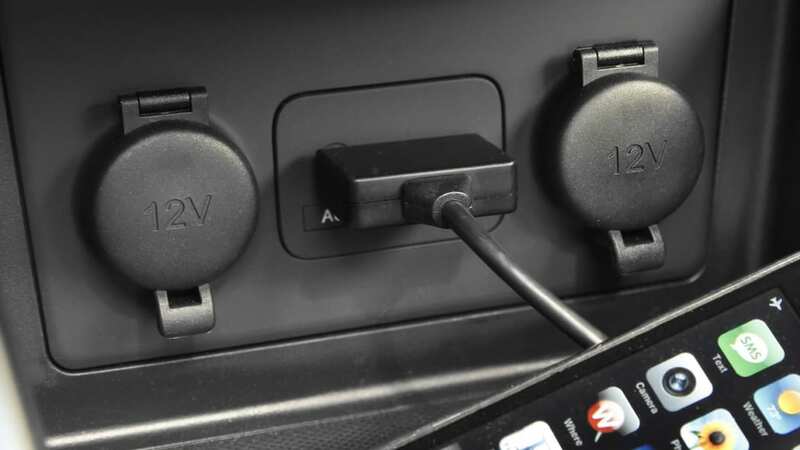 An aftermarket shift kit could go a long way toward alleviating our reservations here. 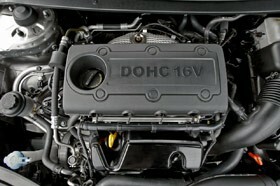 The good news is that the Forte SX still manages to get fantastic fuel economy even with the extra engine displacement. 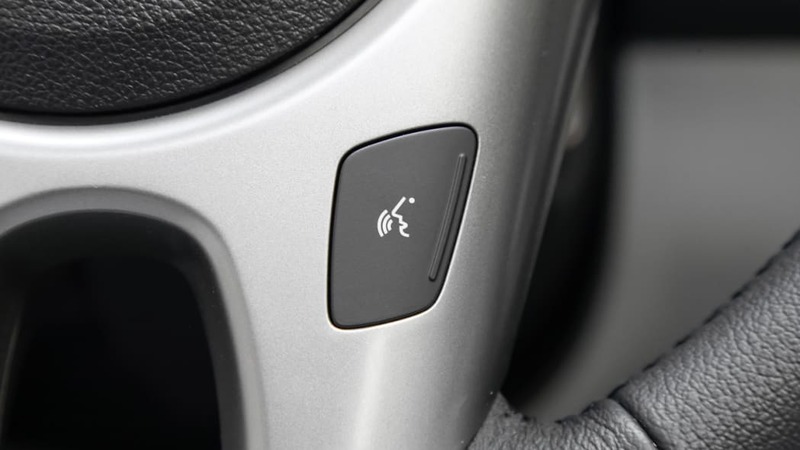 Cars equipped with the six-speed manual are rated at 22/32 mpg, and those with five-speed automatics get 23/31. 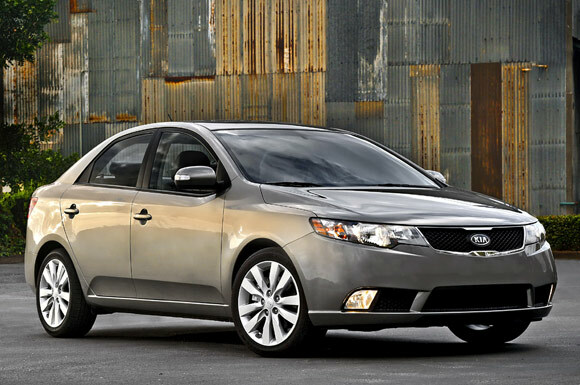 While we wouldn't go as far as describing the Forte's handling as sporty, we found it to be more than capable of providing a smooth and comfortable ride. 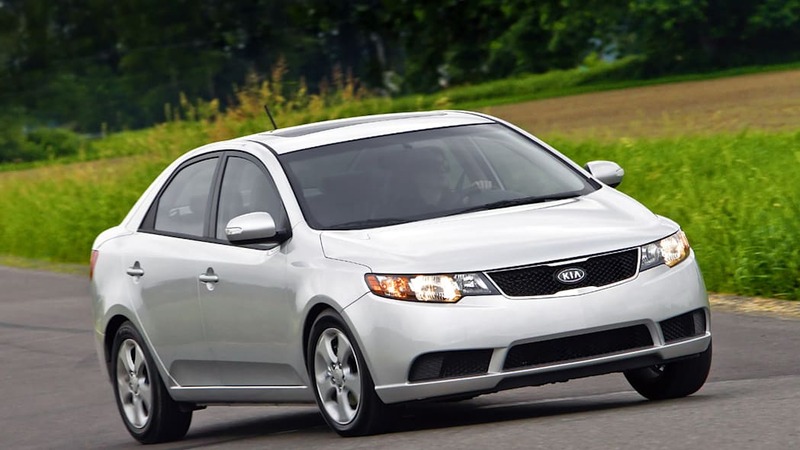 Kia utilizes an independent suspension up front and a stabilizer bar and torsion beam with struts and coil springs at the rear that both do their job, but nothing really more than that. 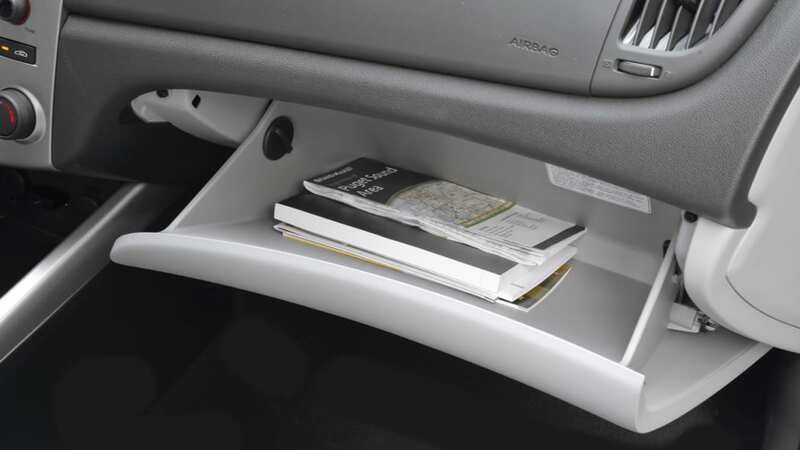 The hydraulic-assisted rack and pinion steering provides a decent amount of feedback, but those looking for some more fun in the twisties might find the Mazda3 or Honda Civic a better fit. 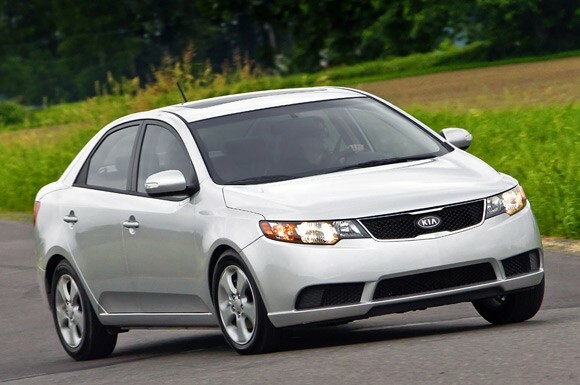 When it comes down to it, the Forte ought to do for Kia what the brand has been doing the last 15 years: make progress. 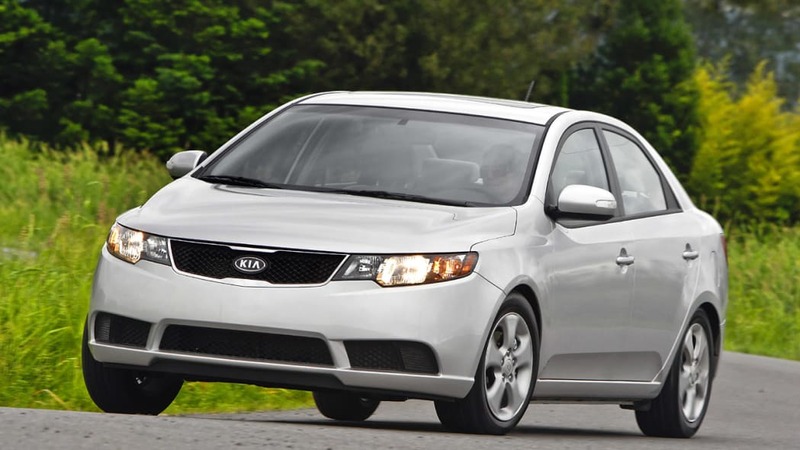 With great looks, plenty of standard features, better (but not great) powertrains, and excellent fuel mileage, the Forte is a much more compelling option in the compact sedan segment than Kia has ever had. 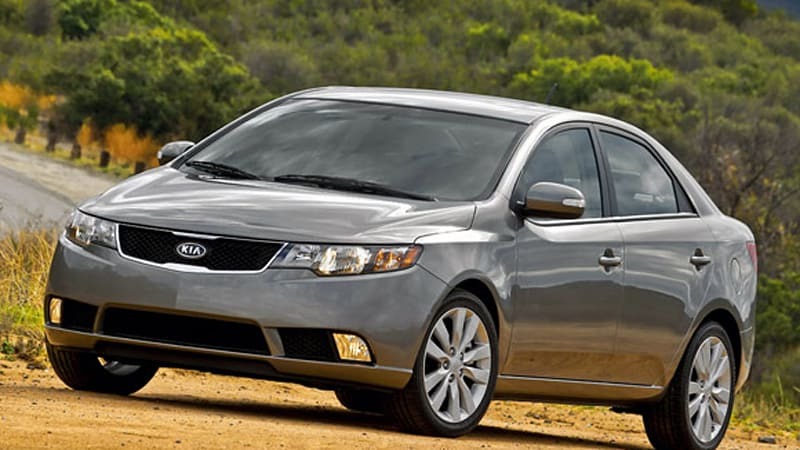 Add to that its excellent pricing and a 10-year/100,000 mile powertrain warranty, and we have no doubt that the 2010 Kia Forte will find its fair share of customers.